2017 Grady-White Canyon 306 Powered by Twin Yamaha F350's! 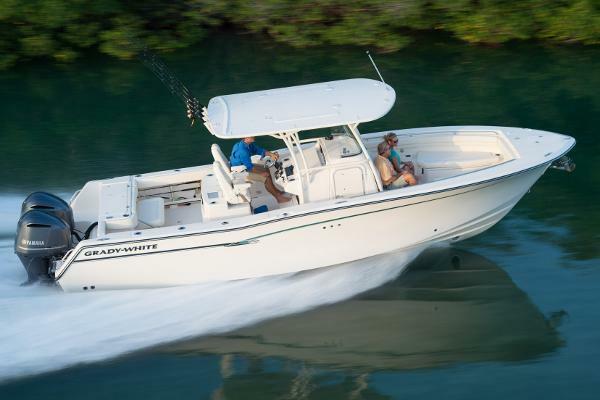 Tough, roomy, rugged yet comfortable, the Canyon 306 30-foot center console sportfishing boat is a beast, a great saltwater offshore boat with a wide open cockpit, plenty of storage and the incomparable SeaV2 ride. With superb seating, a console head enclosure and other creature comforts, the 306 is a great family boat, too. 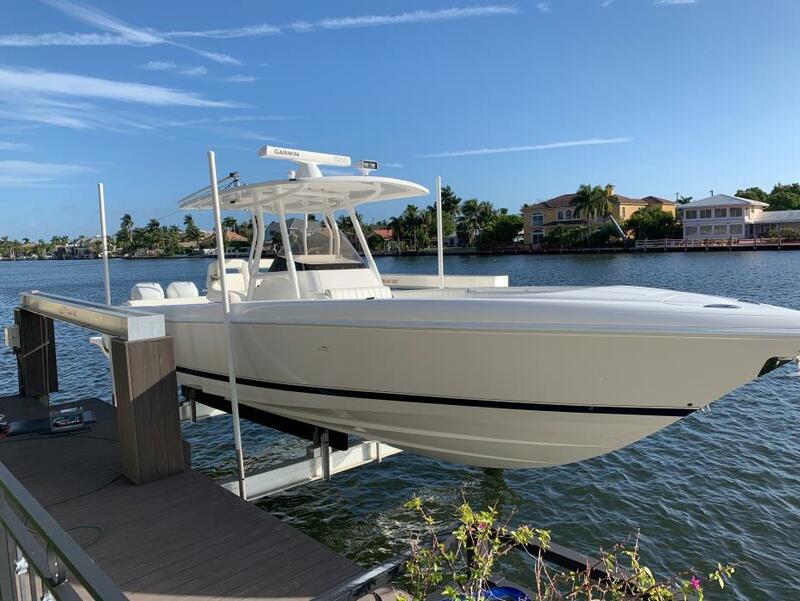 2016 Grady-White Canyon 306 This Grady-White 306 Canyon with twin 300hp Yamaha engines and a bow thruster has warranty thru 6/2019. 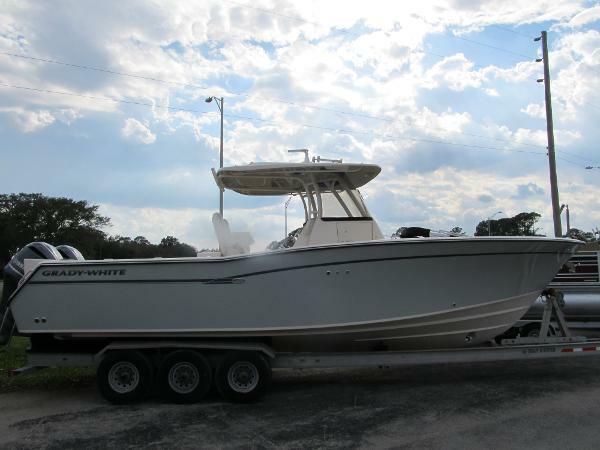 With only 45 hrs this vessel is like-new & showroom condition waiting to be scooped up by a lucky Grady-White fan. It wont last long when compared to new dealer stock pricing! If you haven't experienced the soft and true ride of a SeaV2 hull design by C Raymond Hunt Associates, it is time. An aggressive bow deadrise tapers back to a 30° amidship and 19.5° at the stern. 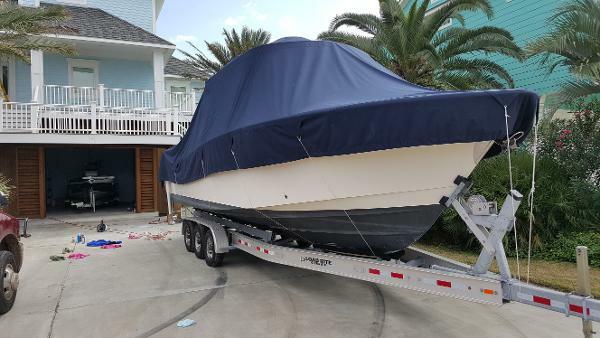 In the owners words this boat does not pound like other boats he has owned. 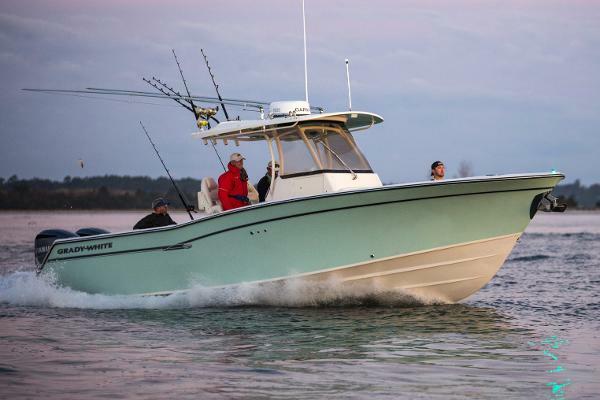 The 306 Canyon is a versatile and well thought-out boat for fishing and adapts easily for cruising with the family. The Enclosure and bow cushions have never been used, still wrapped and stowed in the owner's home. 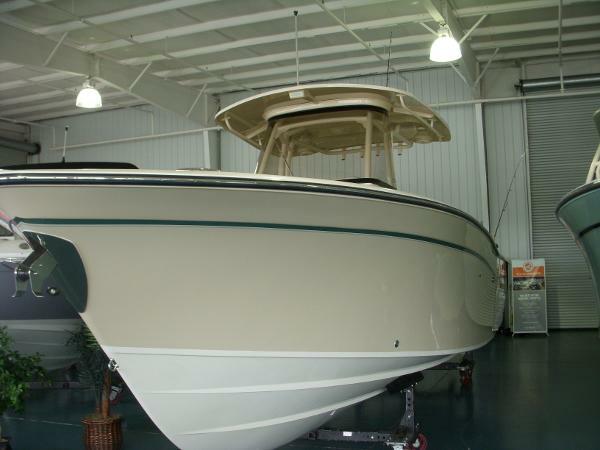 This boat has been kept high and dry inside with light use. 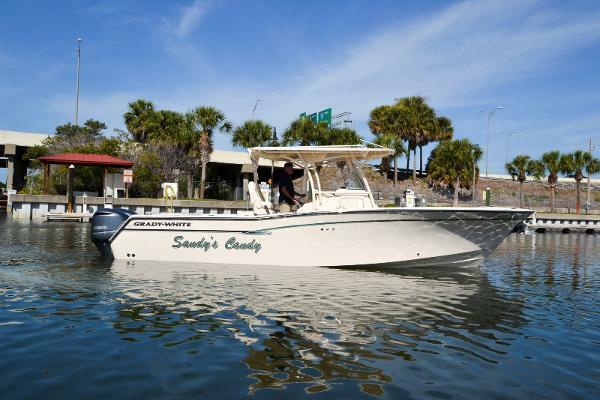 This 306 Canyon is loaded with a whole host of options you need to review carefully before comparing to a new or used boat currently on the market. 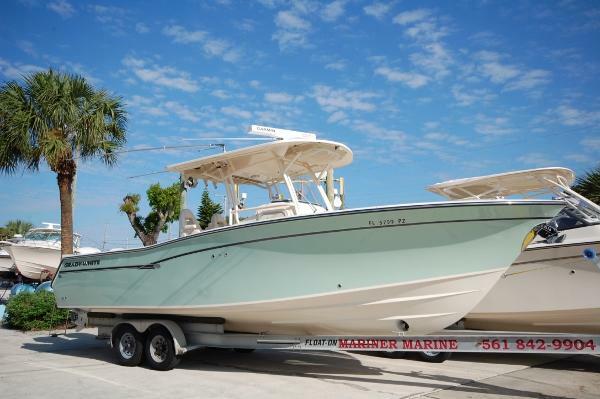 2016 Grady-White Canyon 306 Tough, roomy, rugged yet comfortable, the Canyon 306 30-foot center console sportfishing boat is a “beast,” a great saltwater offshore boat with a wide open cockpit, plenty of storage and the incomparable SeaV2 ride. With superb seating, a console head enclosure and other creature comforts, the 306 is a great family boat, too. 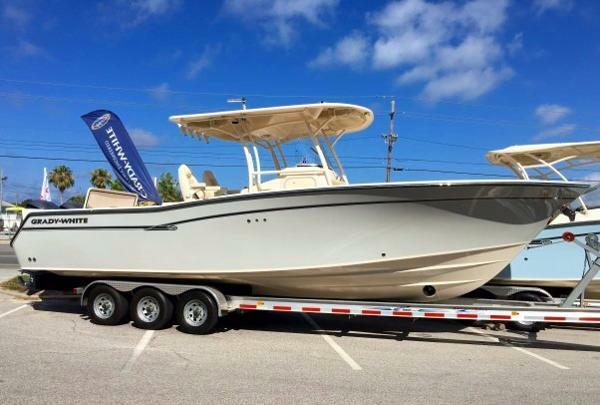 2017 Grady-White Canyon 306, 2017 Grady-White Canyon 306 Center ConsoleTough, roomy, rugged yet comfortable, the Canyon 306 30-foot center console sport fishing boat is a beast, a great saltwater offshore boat with a wide open cockpit, plenty of storage and the incomparable SeaV2 ride. With superb seating, a console head enclosure and other creature comforts, the 306 is a great family boat, too. 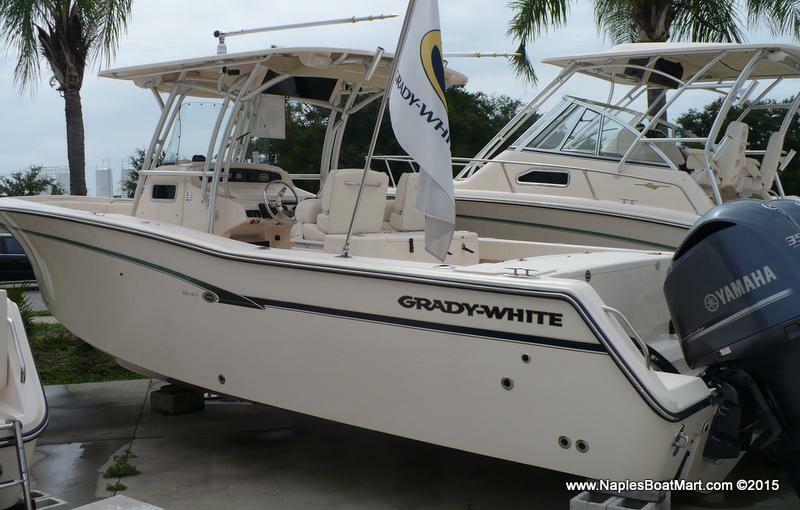 2017 Grady-White Canyon 306 2017 Grady White Canyon 306 Tough, roomy, rugged yet comfortable, the Canyon 306 30-foot center console sport fishing boat is a beast, a great saltwater offshore boat with a wide open cockpit, plenty of storage and the incomparable SeaV2® ride. With superb seating, a console head enclosure and other creature comforts, the 306 is a great family boat, too.